The best time to plan for your future is now. Working towards an objective is always more productive than planning with no clear goal. We can help you calculate the funds you need to generate optimum income levels for your future, evaluating your progress towards the target income each year. 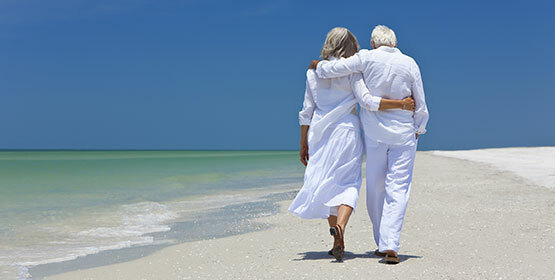 We assist you in realising your retirement goal within your means and your plan to achieve it. Reviews of existing pension arrangements and your retirement provision will keep your plan on track. What’s your ideal retired life? When do you wish to stop working? What are your existing pension arrangements? How can you make the most of them? And most crucially: How much will you need to live once retired? We can assist you to find solutions to these crucial questions and give you the best professional advice on how to make the most of your present for the future. The earlier you start planning, the better. You might need to look at putting more money aside or might have existing pension arrangements that you haven’t reviewed in a while; either way, in planning for your future, the greatest advantage you will ever have is time. SensInvest is a trading style of Fortune Wealth Limited authorised and regulated by the Financial Conduct Authority FSR number 714408. Registered in England and Wales as a Limited Company Number 08703634.